Learn to felt a beautiful bag! Pricing: Cost includes supplies for one bag and instructions. 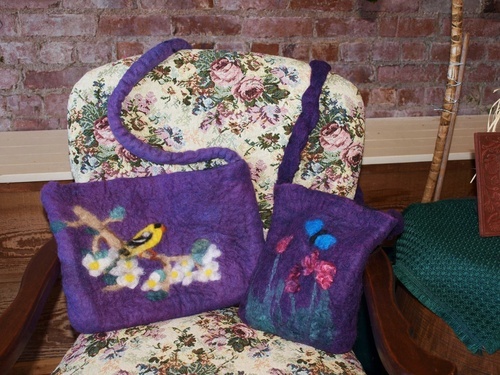 Create a beautiful alpaca felted bag. The alpaca is provided courtesy of our warm and loving alpacas at Cedar Creek Alpacas. This class is great for all levels of felters. 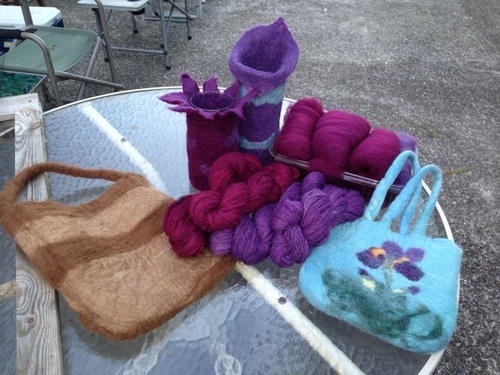 Felting is easy and fun! Learn needle felting techniques and wet felting techniques. Variety of colors will be available. Class is scheduled for 4 hours from 10 am to 2 pm. It may not take the full four hours it just depends on each individual student and the detail on their bag. Bring a sack lunch, beverages will be provided. Class will be taught in Stevenson WA at the Pioneer Newspaper Office. Call or email to reserve your spot in the class. Limited to 10 students.